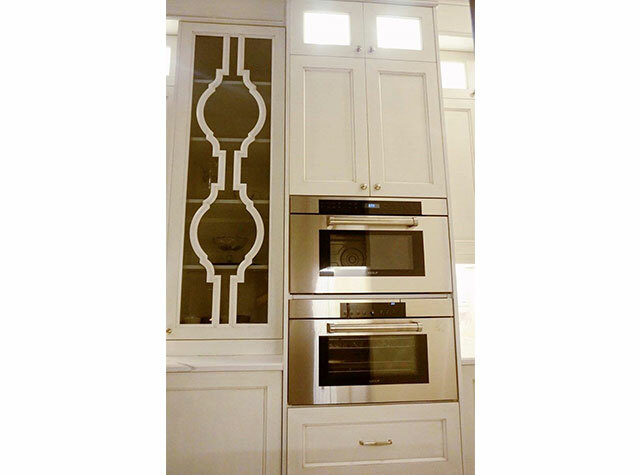 This kitchen includes a full suite of custom designed items: glass doors, wine rack, antique style hood cover, antique faucets and pot filler. 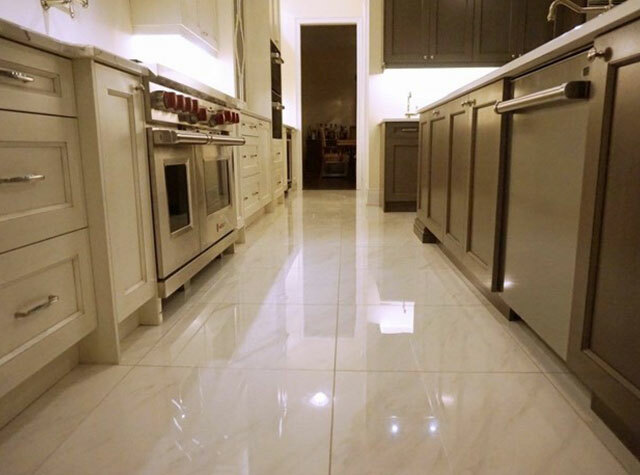 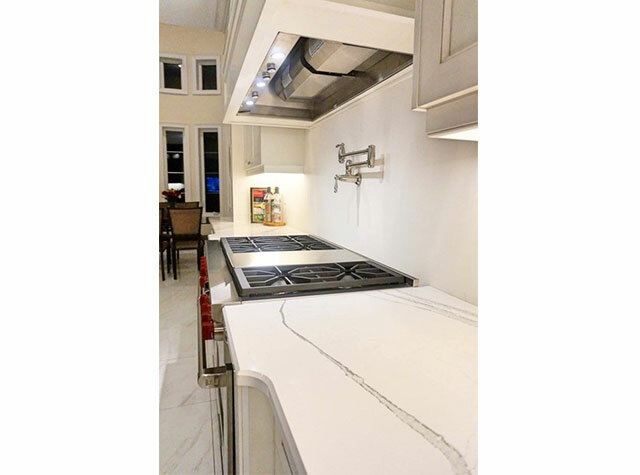 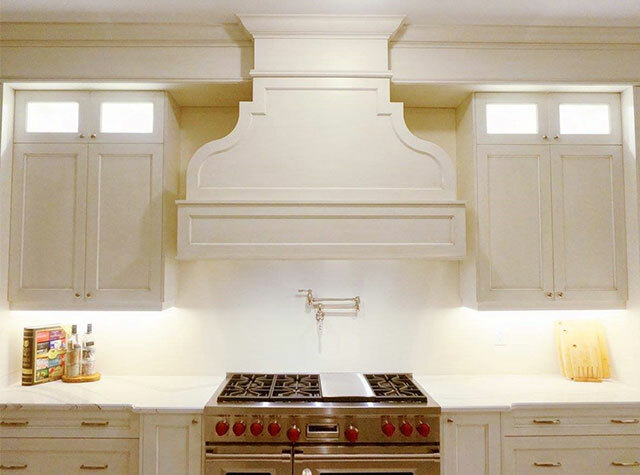 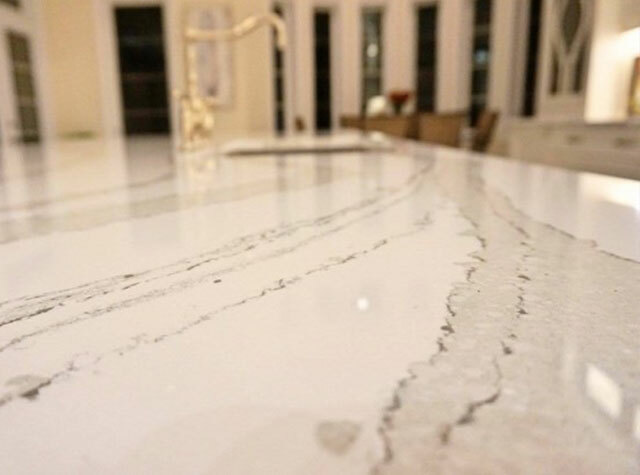 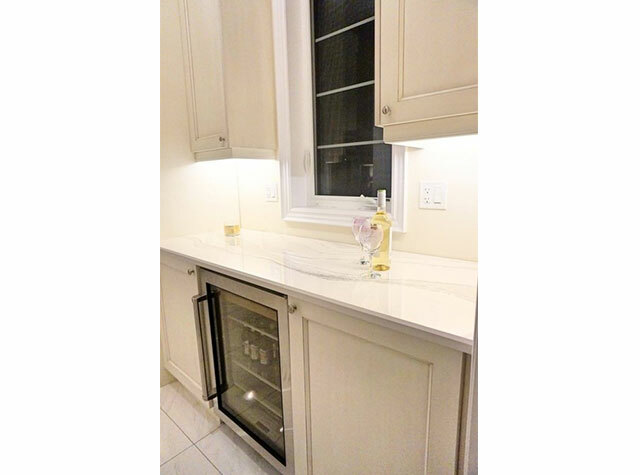 Its Cambria Brittanicca quartz countertop compliments the white cabinets which surrounds the kitchen. 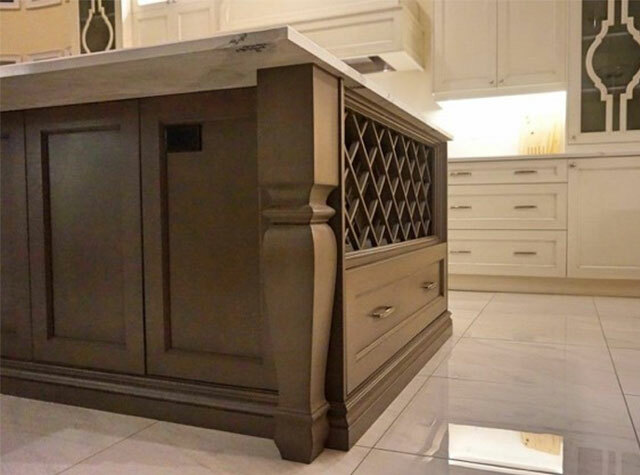 The island is stained to add contrast and accentuate the antique look throughout the kitchen. 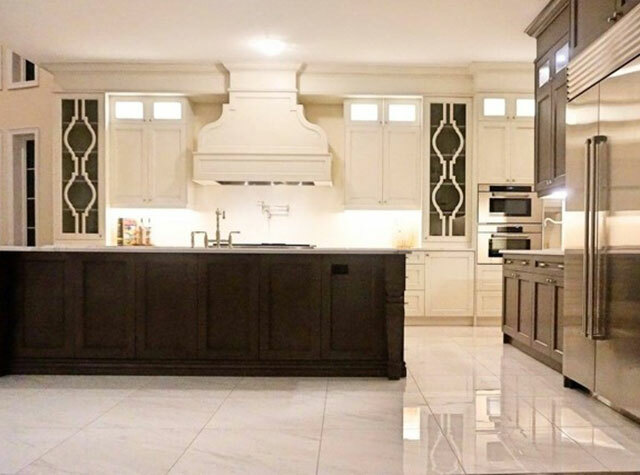 This is the ultimate dream kitchen for a chef including a cooking work-space, extra prep sink and prep area, over-sized island, servery room and pantry.